Home / Poll-12 / The Orienteering Achievement of 2012! The Orienteering Achievement of 2012! Read about the fantastic achievements of the 13 athletes and 3 teams who are nominated for The Orienteering Achievement of 2012. Then post your vote for your favourites, and be part of the drawing for prizes worth nearly 4000 Euros! 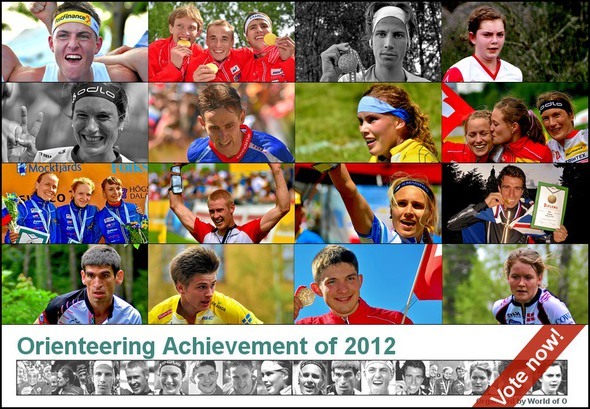 2012 has been yet another year full of great orienteering achievements – and as we now are moving towards 2013, we follow the tradition and decide the greatest of achievements of the year. New this year based on many request: Teams can now also win the achievement of the year – this year three teams are among the nominees! The annual poll to find the best Orienteering Achievements of the year is organized by the major source for international orienteering news on the Internet – World of O. In the vote for “The Orienteering Achievement of 2012″, the best achievement of the year is to be named – and not necessarily the best orienteer of 2012. Great Sponsorprizes for “Lucky voters”! A person can only vote once in each of the categories (if several people share one internet connection, only one can vote, as the IP address is used to identify the voter along with the email-address of the voter). Prizes from our sponsors will be drawn among all people voting. The winners will be made public after the poll closes at World of O. 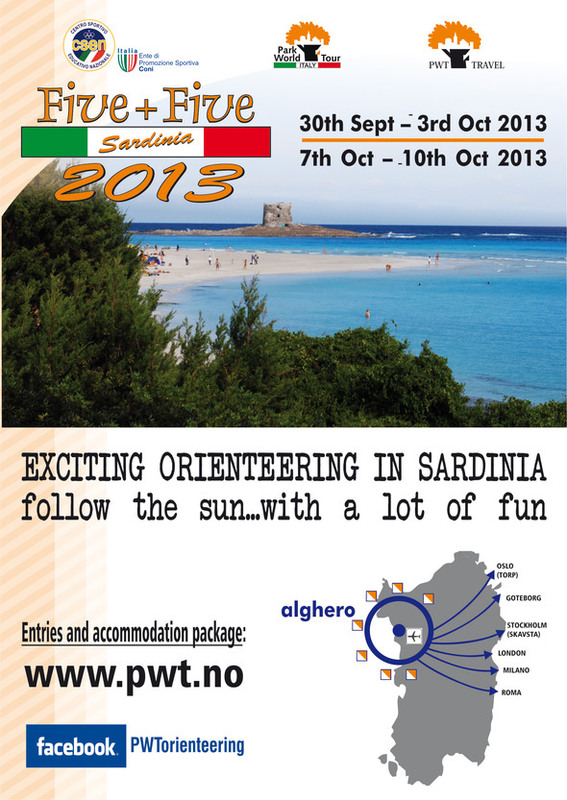 Main sponsors for the Orienteering Achievement of 2012 is Sardinia Five + Five – offering a transferable prize valued to around 2000 Euro! Other sponsors are Danish Spring, Kopaonik Open, OOCup, Croatia Open, Sprint The Bay, Portugal O-Meeting – more info about these sponsors and what they have to offer in the sponsor presentation below! On December 4th, all nominees are presented at World of O. The winner is decided in a vote amongst all the readers of World of O between Tuesday December 4th and Monday December 10th. The winners will be announced December 13th. Of all websites with on average more than 50 visitors/day who link to the poll after it has been opened for voting, three websites will be drawn who will get a free “Sponsored Link” at World of O. Websites with on average more than 200 visitors/day will count triple when linking to the poll. Send an email to Jan@Kocbach.net with the sites address if you want to be part of this draw for free sponsored links. Sponsored links may be to any orienteering related page or product – must necessarily by the website drawn. Danish Spring takes place north of Copenhagen the 16 – 17 March 2013. It is an international spring premiere for the elite and everyone else, who can’t wait to get back in the woods after a long winter. 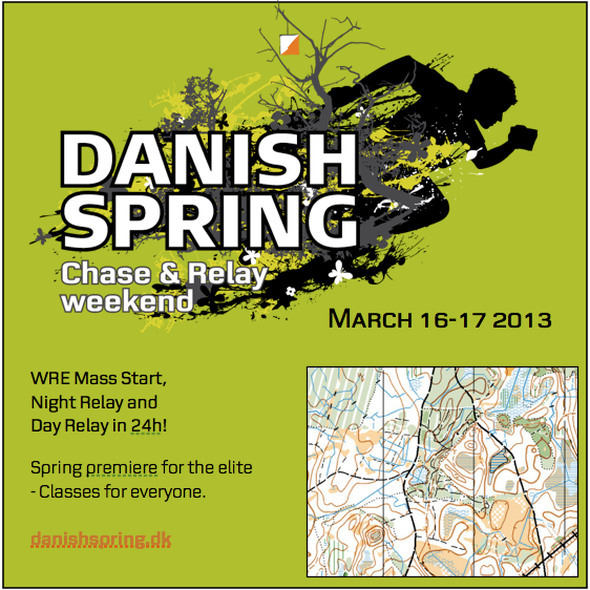 Danish Spring is an intense weekend with one individual WRE mass start, one night relay and one day relay. See more at Danishspring.dk. Prize offered: Event package for 3 persons containing entry, accommodation (in four bed studios or apartments, from Monday 15th- Sunday 21st og July), training, event T-shirt and participation in organized hiking tours with guide. 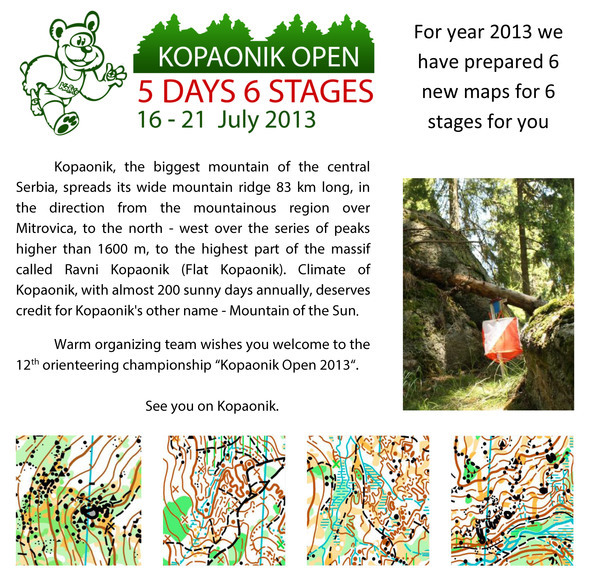 Already for the 12th time in a row, “Kopaonik open 2013″ orienteering international championships will be held on Kopaonik, from 16th to 21st of July. For 6 competition days we have prepared 6 stages on 6 new maps. Come and enjoy orienteering on this “mountain of sun”. See more at the Kopaonik Open webpage. 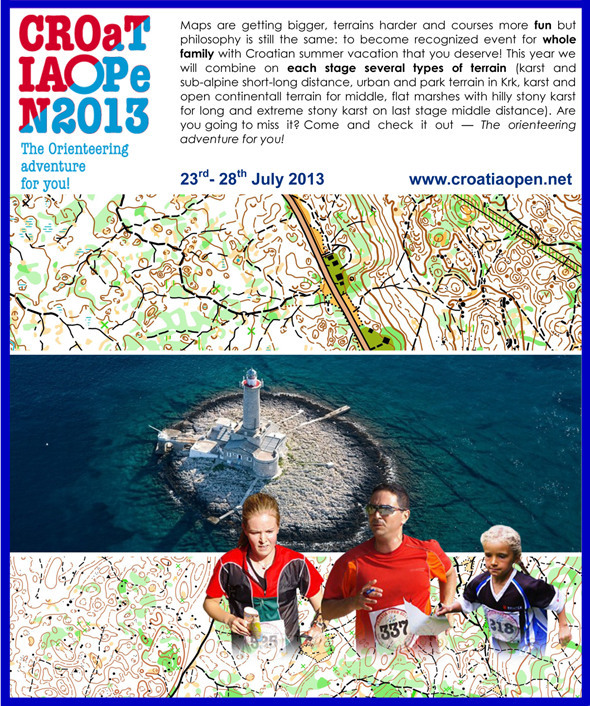 Croatia Open is a 5 day orienteering race – offering you different types of terrain from extreme karst to mediteranean and continental terrain. “Croatia open” attracts more than 1000 competitors from 40 countries offering you great orienteering holiday – combining orienteering with holidays on the Adriatic coast. See more at the Croatia Open webpage. Prize offered: “Family” package consisting of entry for 4 persons for the complete OOCup 2013 competition week. 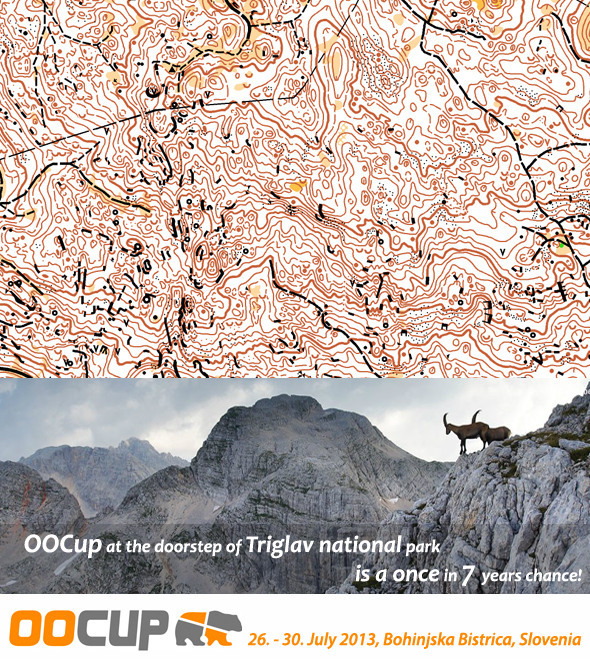 OOCup is a 5 Day orienteering event organized annually in Slovenia. The event is famous for its Karst orienteering and excellent combination of orienteering and holidays. See more at the OOCup webpage. The Portugal “O” Meeting has become the international season opener for the world elite and hundreds of other orienteers spending a week or two in the Portugal in February and March. See more info at the POM 2013 webpage. The winners from the Orienteering Achievement of 2011 were Thierry Gueorgiou and Ida Bobach. The winners from the Orienteering Achievement of 2010 were Olav Lundanes and Simone Niggli. 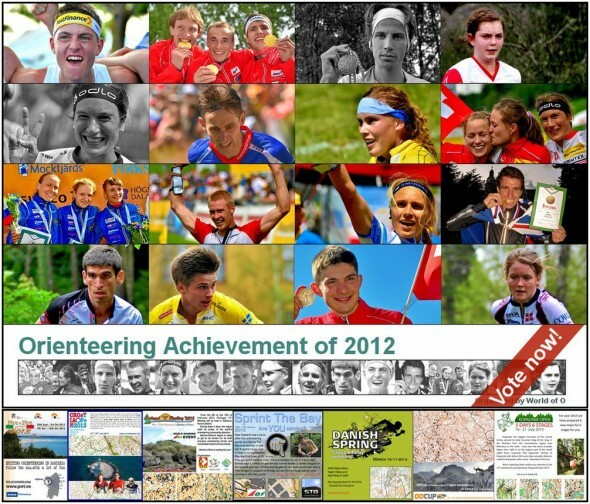 Help decide who will win “The Orienteering Achievement of 2011″. Lucky voters: Check if you won! Last day to vote for The Achievement of 2012! is a facebook page an OK way of spreading the poll? @sim: It is a nice way of spreading the poll, but as the rules are this year, it won’t give you a chance to win the sponsoring prize (you don’t really have control over who sees information at Facebook. It’s in there for some minutes or hours – and then it’s “gone”..). But please spread it on Facebook-pages as well! And on Twitter. And even at breakfast:) It is a lot of hard work to set it up – finding achievement, researching stories & nominations etc. (a lot more than e.g. Course of the Year) – so it is good to get it spread around the orienteering world.